The customer services editor allows operators to create and record customer service events or amend existing ones. For both sales prospecting and customer service it is necessary to initiate activities or tasks. These tasks may involve sending a letter or email, or an agent calling the customer. Call Centre Manager will automate and control all of these processes. Call Centre Manager enables you to automate the processes that maintains and controls customer contact. Triggers allow tasks to be created depending on events that occur within the PRIAM ERP system. These are called triggering events. Examples of triggering events are the creation of a customer name and address record or the raising of a sales order. A triggering event can initiate an action or series of actions. This could be a follow up call to a customer or a letter / email in response to a customer enquiry. Actions are allocated as tasks to customer service agents or used to create (pre-defined) letters and emails. Tasks can be chained together to create workflow. Triggers can be applied to any transactional event within the PRIAM ERP system. For example a trigger could be associated with a stock level falling below a pre-determined minimum level and causing an email to be sent to an account manager or supplier. The Customer Services Editor allows operators to create and record customer service events or amend existing ones. A unique call reference number is allocated to every call. Each call is treated as a unique event with an associated audit trail which provides the basis of reporting and analysis. A customer services event can be created against an existing customer record or against an anonymous account. For example the service call might be to enquire on shop opening times and customer details need not be recorded. • The nature of the customer service event via a 2 level hierarchy. The Customer Services Editor allows you to identify and record sales orders against the customer service record. This allows you to create a new sales order or view all of the details of existing orders. The Customer Services Editor allows you to record products against the service call. These are products that the customer may have purchased from a shop or store and have not been supplied through the order processing system. The Customer Services Editor allows you to record stores or shops which are associated with the customer services event. This section allows you to record and view the account details of all of the accounts associated with customer services event. Details that can be viewed within the Account Inquiry screen. Ensuring that a record is maintained of all customer contacts is vitally important. This area allows you to create comprehensive notes of all customer conversations and events. The Customer Services Editor allows you to automate the process of creating and maintaining letters or emails. You can also store documents that have been sent by the customer or that have been created externally. Letters and emails can be created on an ad-hoc basis or via existing templates. The PRIAM database can be accessed to mail merge any existing data into ad-hoc or template letters and emails. 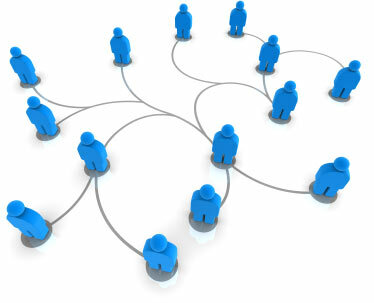 Tasks may also be created manually and allocated to a group or an individual. These screens provide an activity based breakdown for every customer service event. This provides an audit trail and the basis of reporting and analysis.